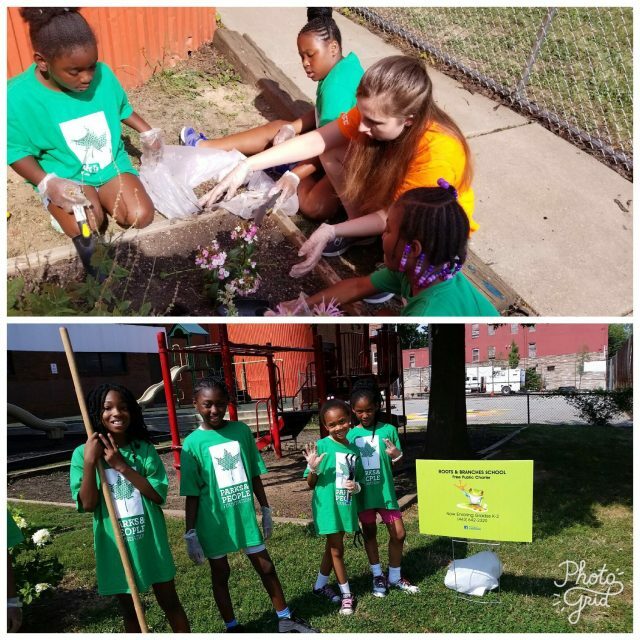 For decades, Parks & People has sought to achieve a single goal: to improve the quality of life for residents of Baltimore by ensuring that everyone is connected to nature through vibrant parks and green spaces. Our hope is that, when people — adults and children alike — are given the opportunity to enjoy the outdoors and mix and mingle with neighbors, they will become stewards of these very important green resources. That is why we offer SuperKids Camp, a six-week academic enrichment program designed to help elementary school-aged students in Baltimore City improve or maintain their scholastic skills during the summer months. We focus our efforts in the following areas — reading, environmental literacy, character development, basic math skills, and fostering an appreciation of the environment through hands-on learning and field trips. Donate now to help elementary school students have a camp experience! Will your child be a 1st, 2nd, 3rd, 4th or 5th grader student in a Baltimore City next year school year? Do you want your child to have a fun, enriching and educational summer experience? If you answered yes to these questions, SuperKids Camp is for you. SuperKids is open to any student entering 1st through 5th grade in a school in Baltimore City in the Fall of 2019. Enrollment is limited and registration is first come, first served. SuperKids is open to any Baltimore City student entering grades 1st through 5th in Fall of 2019. $100.00 (There is special pricing of $20 for students who attend Title I Schools. Financial assistance is also available.) Click here for a list of Title I schools. Click here for the list of 2019 camp sites. Each student is assigned a single camp site and all field trips and enrichment activities leave from that site. Supervised transportation is provided free of charge for SuperKids students. Bus stop locations will be determined based on camp enrollment in your area. Parents/guardians will be notified of their child’s bus stop prior to the beginning of camp. Please visit our Join Our Staff page for summer employment opportunities.